Rigoberto Uran, featured in a recent Netflix short, is the first leader of the Tour of Colombia after his EF Education First squad won the team time trial in Medellín on Tuesday. It’s the team’s first team time trial win since 2016 when it earned the victory at the Czech Tour. In 2012 as Team Garmin-Barracuda, the outfit took the Giro d’Italia and Tour of Utah team chronos. The team’s manager, Jonathan Vaughters, was over the moon. The Tour of Colombia is a 2.1-rated stage race over six days with Stage 6’s climactic queen stage finishing atop the nasty Alto de Palmas. Chris Froome is making his season debut at the race, and his Sky unit finished in third place on Tuesday. Deceuninck-Quick Step, the world champions, were runners-up. Nairo Quintana’s bid to improve on eighth place in the recent Vuelta a San Juan Internacional in Argentina, which his teammate Winner Anacona won, was hampered by Movistar’s seventh place in the team time trial. Colombian Uran is joined by American teammates Taylor Phinney, Nathan Brown, Alex Howes and Lawson Craddock and compatriot Daniel Martínez, the new national time trial champion. Team director Juanma Garate said in a team press release that the squad would back Martínez over Uran, as “Rigo’s preparation is going a little bit slower than last year.” Rigoberto is slated for the Volta Ciclista a Catalunya and Itzulia Basque Country in preparation for his sixth Tour de France, where he was runner-up to Froome in 2017. 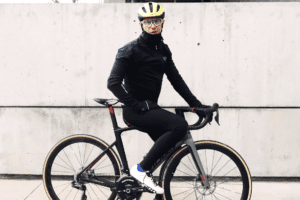 Right now, EF Education First’s Canadian, Michael Woods, is down for the Tirreno-Adriatico stage race in March before April’s Amstel Gold, La Flèche Wallonne and Liège-Bastogne-Liège, all leading to his third Giro d’Italia.